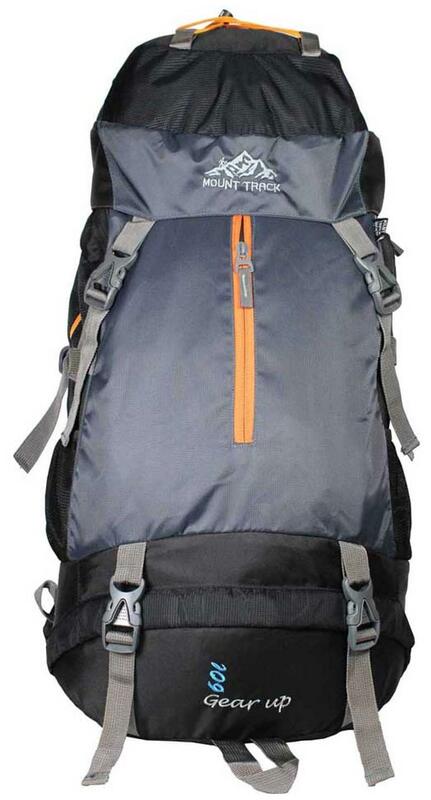 This 60 litre Rucksack from Mount Track has padded shoulders straps for comfort, internal pockets to store your gear, and a metal stay for comfort and back support around town or on the trail. Its slim shape provides freedom of arm movement and stability in situations requiring good balance. The sack bends and twists with you, giving a greater degree of balance; its technical back system is designed for alpine sports and high-grade routes. The soft, specific pressure zones ensure exceptional load /carrier contact. The shoulder straps are also adjustable. These attractively designed packs cover a range of uses. With a range to cater from the summer walker to winter climber or climbing or mountaineering. These packs reflect the same attention to design materials and workmanship that is present in our other models; it can be used efficiently under varying circumstances and conditions to assist you in all your outdoor activities. 1. 7 Ways Height adjustment system. 9. Adjustable Sternum Strap that helps in keeping the shoulder belts in place.